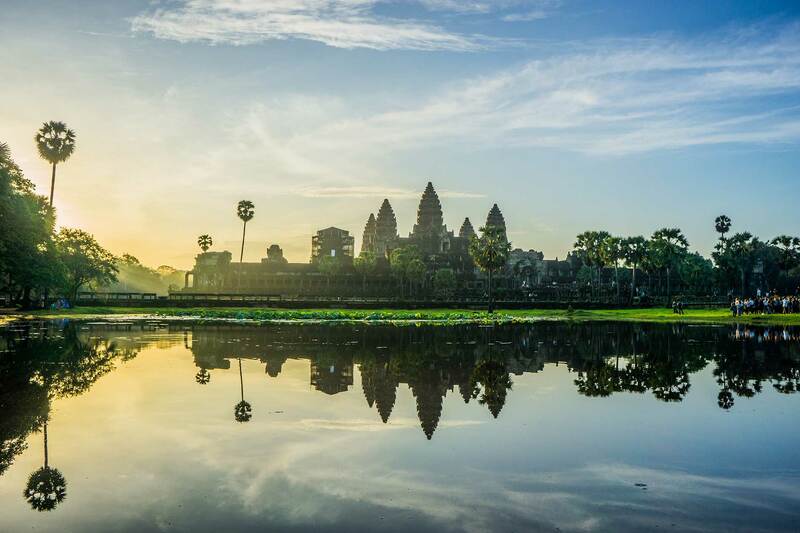 Our visit to Siem Reap, Cambodia was to experience the magnificent World Heritage Site Temples of Angkor complex – home to Angkor Wat, the largest religious monument in the world. Sunrise at Angkor Wat, a MUST DO!!! Angkor Wat is a temple complex in Cambodia measuring 162.6 hectares. It was originally constructed as a Hindu temple for the Khmer Empire, gradually transforming into a Buddhist temple toward the end of the 12th century. The Temples of Angkor are magnificent in every way. The sheer magnitude of the complex mixed with the intricate detail of construction and the contrast of colors between architecture and tropical vegetation made for an unforgettable experience. 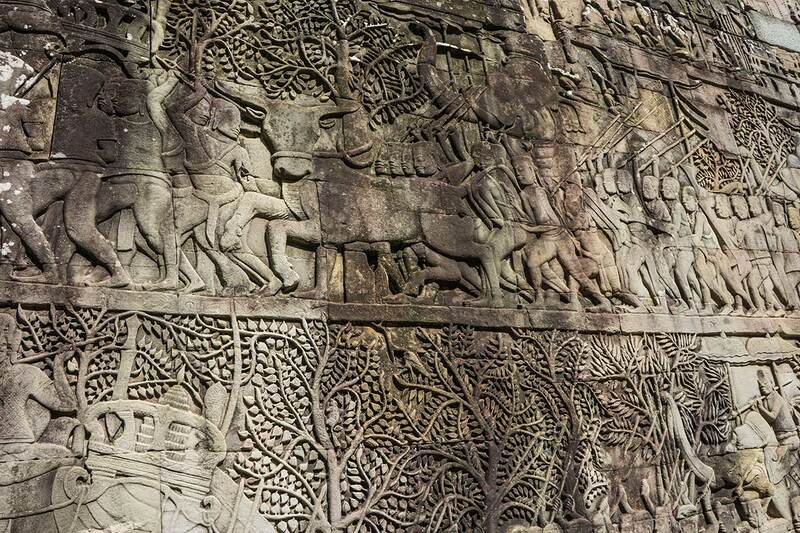 Virtually all of the surfaces, columns, lintels and even roofs of Angkor Wat are carved. 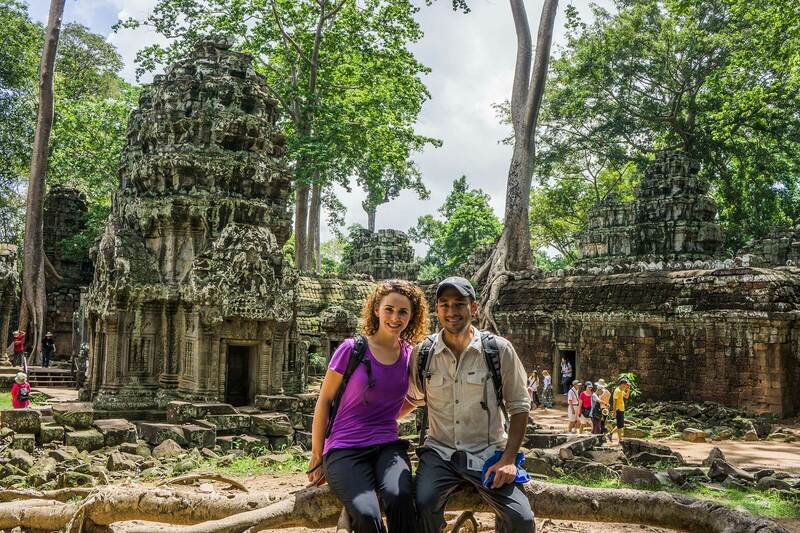 There are many different approaches as to how you could visit the Temples of Angkor and most itineraries range from one to four days. We opted for an intense one-day tour of the complex, and hired a personal tour guide and driver (surprisingly cheap to do this) to ensure we were efficient. The cost of a one day ticket at the time of this article is $20 USD per day, a three day pass is $40 USD/day. Our guide with a driver in an air conditioned SUV with bottled water was $70 for the day total for 2 people. This price included a 4:45 am pickup to see the sunrise over Angkor Wat, which we HIGHLY recommend. We were able to see the sunrise over Angkor Wat, visit Angkor Thom (including Bayon and the Terrace of the Elephants) and Ta Prohm (where part of Tomb Raider was filmed). 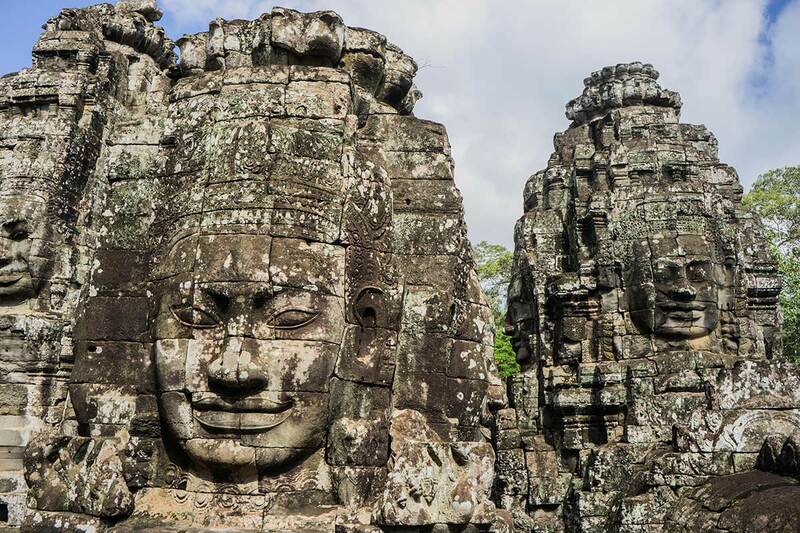 There are many great articles on the background of the Temples of Angkor, some of our favorite articles include those from World Heritage or Lonely Planet (Angkor Wat was voted by Lonely Planet as the world’s #1 sight). Sitting on one of the many massive tree root systems that engulf Ta Prohm. The happy buddhas of Bayon, Angkor Thom. 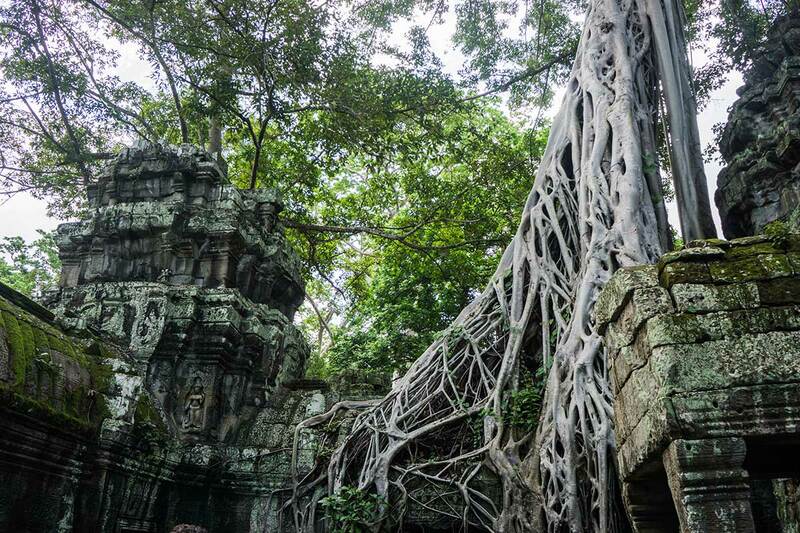 Ta Prohm, where tree branches and roots grow through anything and everything.